I do not think there is a day in our house where playdough is not out and being used. I personally don’t like name brand play-doh because you get tiny tubes of it, which is just not enough to roll out, create, cut, and so on. The below recipe is one that we use in our house. This makes a good plenty so I split it in half. I put one half out for use, and the other half in a completely sealed zip-lock bag. We play with the one half till it is dry and crumbling. When not in use I store plastic container. So far, with daily use this recipe last a month or more before needing to be switched out. In other words, I don’t have to make it but every two or three months! Cook on low to medium-low depending on your stove. Once the above ingredients are warm, add the following ingredients slowly while stirring: 5/8 cup oil, and 5 cup flour. Keep stirring till mixture pulls away fron the sides, and when you pinch between your fingers it is not sticky. This step can take awhile depending on your stove so have patience. 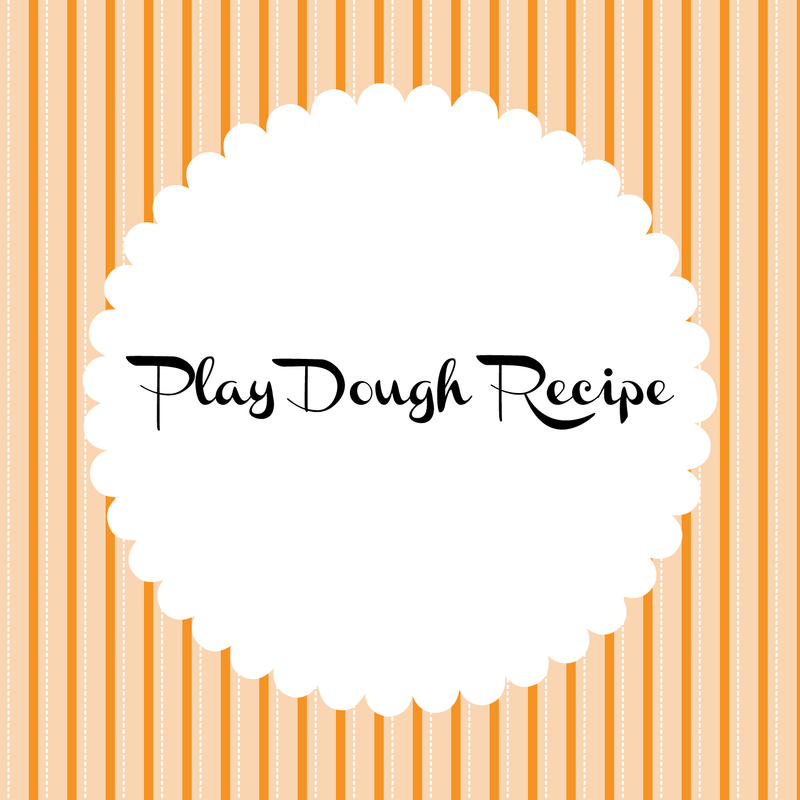 Split dough in to half (or thirds or quarters), add drops of food coloring and knead into the dough. Keep adding food coloring till you reach the desired deepness of color. Download PDF of Recipe Here.